If you live in Dunboyne and need your boiler servicing just pick up the phone and call your local experts at boiler services Dunboyne, part of the boiler services Meath group. Our staff have been repairing, installing and providing oil and gas boiler services for nearly 30 years throughout the county. You can’t beat experience they say and our staff have it in abundance. In fact some have nearly 40 years within the trade so whether it’s a commercial, industrial or domestic boiler have no fear we’ve come across it before. At boiler services Dunboyne we adhere to all current legislation. Our staff are well versed in all aspects of health and safety. All of our staff have their qualifications thoroughly checked prior to employment to ensure the highest standards of service. All of our boiler technicians are fully qualified plumbers by trade who decided to go in to the niche specialty of boilers and most importantly they are all RGI accredited meaning they can complete all works involving natural gas. It’s happened to most of us at some time, the cold weather hits and the heating stops working and usually at the most inconvenient time. At boiler services Dunboyne we won’t leave you in the cold. Our team are on call throughout Meath 24/7 so we’ll always have someone to assist you if you need us. We can usually have someone with you within the hour in emergency situations just call us on 046-9011255. 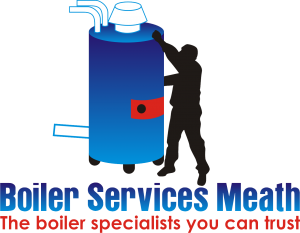 If you are looking for your annual boiler service at a time that suits you call the professionals at boiler services Dunboyne. Our prices Range between €55- €80 depending on the make and model. If you book early you can have your service when it suits at no extra charge. This could be at the weekend, early morning or evening. For boiler servicing, emergency boiler repair, installations or just a free quote without obligation call 046-9011255.